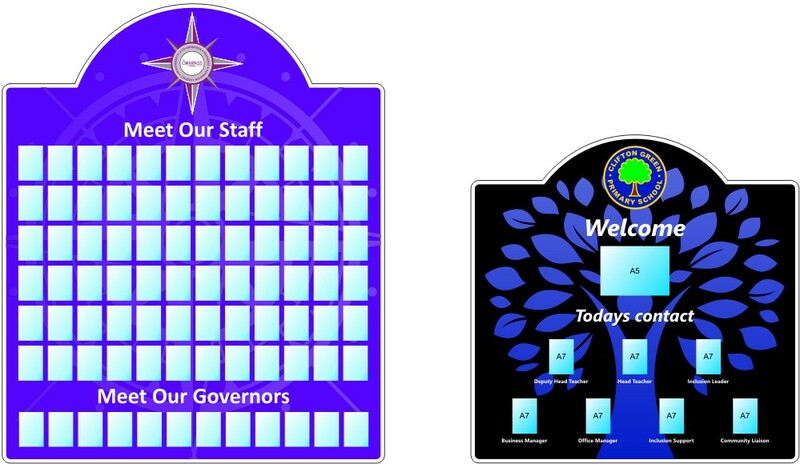 3/ Our designers use this Information to design your new board & send you a colour visual and quotation for your consideration. 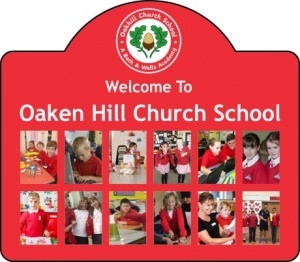 We supply a range of School Photoboards with a twist. 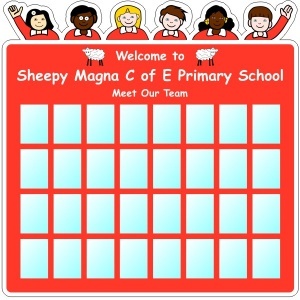 Many schools have in the past used a standard rectangular photoboard but now you can add shape, colour and some imagination. 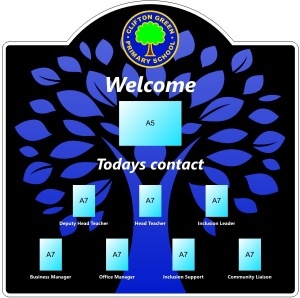 We can design your new school photoboard to reflect your school identity by using your school colours, crests and logo's etc. 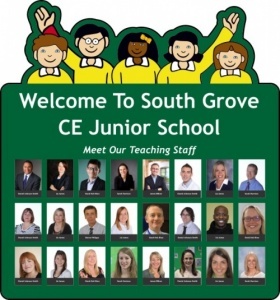 In fact we can custom design your new school photoboard just as you like it. 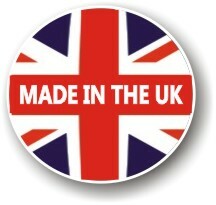 Produced from vibrant 3mm aluminium composite material (ACM) we apply text, and full colour vinyl graphics as required. The picture sleeves are A7 in size (74 x 105mm) and are made from crystal clear acrylic which simply pull open for fast and easy changing. 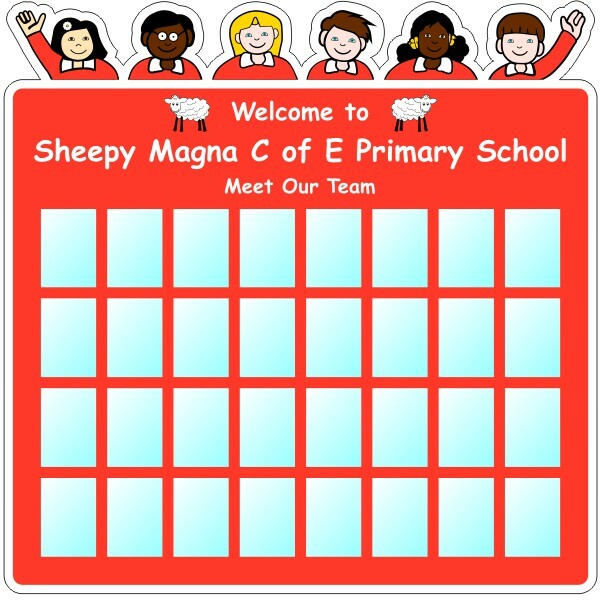 Our School Photograph boards can be used for lots of different display purposes. 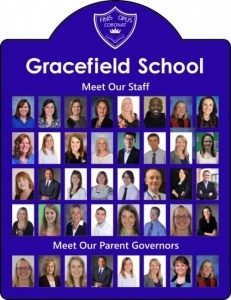 For example Meet our Staff, Meet our Pupils, an introduction to your school Governors, displaying a school sports team...... the list is endless but we are sure that you have your own ideas. 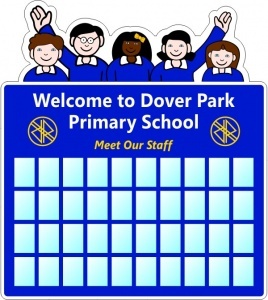 The finished boards can be cut to virtually any shape or size and our designers will work with you to create your ideal school photoboard.